You’ve heard the reasons to add schema markup aka structured data to your site and you want in on the action. So what’s the best way to get started with schema markup and structured data? That’s exactly what we’ll cover in this article. Read further to know all the options and avoid rookie mistakes. First, you need to determine which types of schema markup are relevant to your organization. If you are serious about schema and looking to utilizing it to its fullest, look over the rest of the over 600 schema types. The full list can be found on schema.org. The list can be a bit daunting due to its size and technical writing but at least familiarize yourself with it. If you find a lesser known schema that is a good fit for your organization then you could differentiate your site by being an early adopter of that schema type. It’s important to know upfront all the schema types you wish to implement before choosing your implementation method. You don’t want to start implementing the more common schema using one method only to find your method doesn’t support other structured data you want. This mistake would require you to switch your implementation method and waste all prior progress. Next, prepare the information needed to populate the schema markup. For example, if you are adding the organization schema markup then you would want at least organization name, website, social account urls, and logo file typically. For product structured data code, you may want to include product SKU, product image, price, and weight. 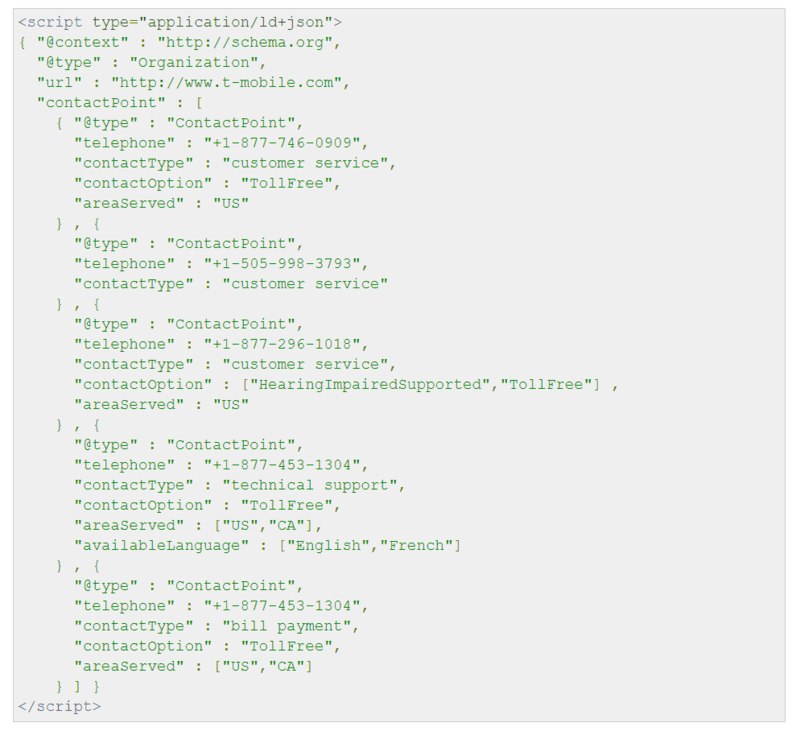 How do you find what fields you can include in structured data? Go to the schema.org (here's the listing on the organization schema). The fields can also be daunting but look at the example code to get a more concrete sense of what schema information to include. Also, you may want to start collecting additional data as it will help expand your schema markup options. Want those rating stars in your search results for a product or recipe? You first have to collect ratings on your site. (Yes, on your site. You can’t use ratings from other sites such as Yelp or Amazon). For recipes, you may want to ascertain nutritional information if you haven’t as that is information that can be added to the recipe structured data. If you just want to implement basics, then you might be fine with a free plugin. But, of course, free plugins have restrictions. The typical restriction for free schema plugins is support for only a few of the most popular types of schema markup. 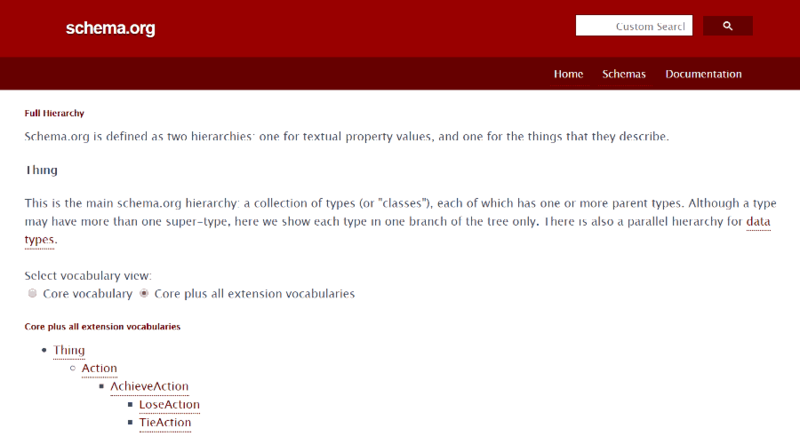 So if you want to add a few of the popular schema types, you may be fine with some free plugins. But if you want to add something a little more exotic like automobile listings (to pick one out of 600), you would be out of luck. A step up in terms of functionality is paid plugins. These are typically premium versions of the free plugins that feature more schema types that you can implement. Most paid plugins will still not support all 600 schema types. So definitely inquire about which schemas they support before buying. Using plugins is as simple as entering information into fields into the backend of your site. Go to the plugin company’s documentation for specifics. If you are a bit more technical and feel comfortable with code (even if copy and pasting with slight edits), then considering adding schema directly to your page’s html. This requires having access to the website code base of course and a working knowledge of JSON (there are other methods to implement schema like micro and RFD but we recommend JSON). Visit schema.org for some very helpful JSON code examples. Lastly, add the JSON to your page through either through your theme or directly to your page’s html. To learn more about this method, a great place to start is Google's CodeLabs tutorial on Adding Structured Data. Google has a tool to mark up structured data called Data Highlighter. Currently it can only be found in the old version of Google Search Console as of publish. Honestly, it seems like an older tool and it's unclear if it will even be available in the new version of Google Search Console. This, in addition to it's limited functionality, leads us to recommend other implementation methods if possible. Data Highlighter is a point-and-click tool that allows you to tag up your site with structured data without the use of code. It's fairly easy to get started but our experience has been it's a bit clunky and only works for nine basic schema types like article, restaurant, and event. We felt limited in what we could accomplish. Although if you only need to mark up a few basic items on your page and you don't have access to your websites code base, this could be an option to check out. Fourth, test that your schema was correctly configured by entering the urls into Google’s Structured Data Testing Tool. Use the Preview button to see how it will look in the SERPs (Search Engine Results Page). Warnings on the other hand are recommended but not absolutely necessary parts of structured schema to include. Note, just because you add schema markup to your site, doesn’t necessarily mean that your search result appearance will change. Google has to crawl your site again to find the changes (you could wait or be proactive and submit the url via Google Search Console). Also, Google may not decide to show structured data for your search results. Unfortunately, that part is mostly out of your control. So there you have it: the four main parts to getting started with Schema markup.